What are your favorite knitting books? Does patterning on your machine make you cringe? What machine would you use for this Hand Knitting Pattern? Watching the colors change is FUN! All that practice of ribbing cast ons was sooo worth it! Hate the purple? Quickly replace it! You’ve modified a piece for a specific design (ie. curved hem). You’ve worked with DAK to get just the right dimensions and shaping instructions for the curve. Now that you have one side of the cardigan shaping perfect, what’s the easiest way to create the other side of the front? Sure, you could just knit the 2nd sweater front reversing the shaping, but what if you want to use interactive knitting or position a stitch pattern exactly on the left side? Instead of trying to reproduce the curve, simply reproduce the entire piece. Hand or machine, current, vintage, printed or eBooks … what are your favorites? Please comment below and share your favorites! We’ll gather a list of your recommendations and share it with the community. What if I don’t have a sweater that fits? With Knit it Now Perfect Fit™ Patterns, we recommend measuring a sweater you LOVE and use those dimensions for your next sweater. When you measure your body, you then have to account for ease. Why not establish your preferred measurement and ease based on a garment you can try on BEFORE you start knitting? 1. Use a tee shirt or other knit garment that you have. In the course I used some tank tops for my measurements. 2. Measure sweaters you have and identify why they “don’t fit” – More than likely you like the sleeves of one and the body of another and the length of a third. The goal is to identify what you like. 3. Go to the store and try on some sweaters. (you have an excuse to go shopping!) Find what you like about each one. Take a tape measure with you and make notes. This will go a long way to simplifying the process. Many knitters will start with a sweater knitting pattern in a standard size, guessing how much ease there is and guessing what size to knit. They then spend the time knitting it only to be disappointed with some part of the fit. You’ll be more successful if you start with identifying what you like first, then building your knitting pattern to match. More than likely your first try will be close, but you will want to “tweak” things a bit. Determining your dimensions first eliminates a lot of trial and error. Why knit a sweater, try it on and be disappointed? Determine what you like FIRST … then get knitting! Fit ONCE … GET KNITTING! Do you use Cut ‘n Sew for shaping? Once you get over the fear, there are so many times this technique comes in handy for machine knitters. We recently explored using stabilizers to improve our cut ‘n sew skills … and we were pleasantly surprised! Wash-away stablizer really washes away! New to Cut ‘n Sew? Check out the subscriber series in the Learning Library. Knit it Now Videos Buffering? If you find that our videos are buffering on a certain device or at a specific location, try changing the playback quality by clicking the gear icon at the lower right corner of the player. She is a hand knitter who is new to machine knitting, but she’s had quite a bit of success already with her machine. (Congrats!) She is just finishing up a cardigan for her daughter and plans to hand knit the ribbing. Merit was wise to start with the main bed only and not try to tackle the ribber. Now that she has some experience under her belt, the ribber won’t be as overwhelming and will expand the capabilities of her machine. Notice the cup near the yarn mast for cakes of yarn …. Merit asked if anyone has any information about her new friend, Regina. Have you seen this one before? Found a pattern or Machine Knitting book in another language? You can use Google translate, but often specific MK terms are difficult to decipher. The new Knit it Now MK Glossary was curated by fellow machine knitters around the world. 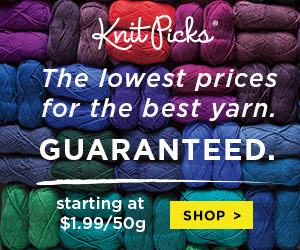 Visit Knit it Now today! take action and GET KNITTING!